For the past four years, I’ve been climbing endlessly, longing to reach the top the mountain that is Coppell High School. But now that I’m pulling myself up onto the summit, I am not experiencing the glorious triumphant feeling that I expected. From the top of the mountain, I can now see the panorama of my life more clearly. I now see even larger mountains looming in my future – mountains I have no idea how I will manage to climb. But looking back down I see that the mountain I just climbed, despite all its rocks and jagged edges, has made me stronger and equipped me to fearlessly challenge any mountain in my future. As a freshman, I stood at the base of the mountain, looking up at it hesitantly. I had no clue what I wanted to do, what I was interested in, who my friends would be. I grabbed my first handhold when, on a whim, I signed up for a 9th grade journalism class. From there, I started climbing and never looked back. I found my niches in the Band Hall and in D115. 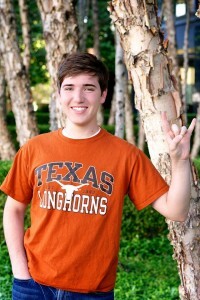 Senior Thomas Hair will be studying Public Relations at the University of Texas at Austin. 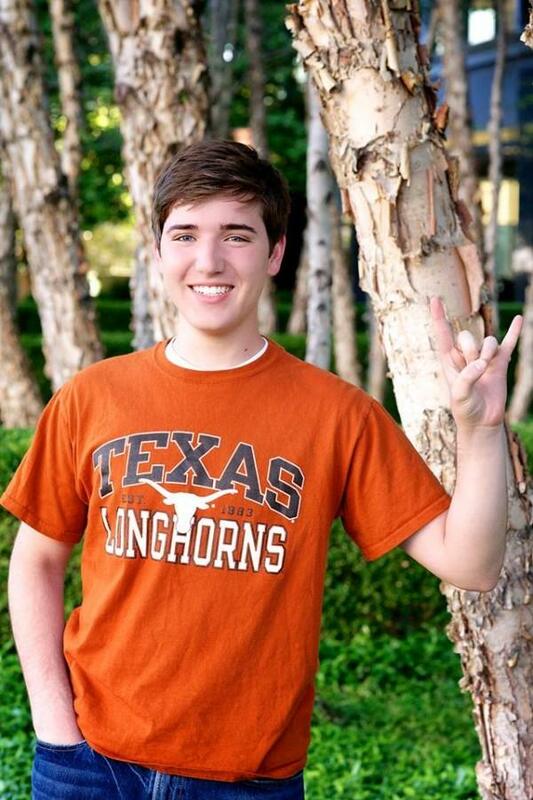 Hook em Horns! Through four years in Band, I learned the value of hard work, endurance and never giving up. I learned how satisfying of an experience it is to work in unity with a large group of people to achieve a common goal. I witnessed every single Coppell football game, marched in the Alamo Dome at State Finals twice and played at Chicago Symphony Hall. Through three years as a writer and editor for The Sidekick, I learned the value of the written word, of journalism. I discovered my love for opinion writing and its power to challenge people’s perspectives, show them new points of view or inspire them to take action. I travelled to journalism conventions in Anaheim and Seattle, won some awesome awards and wrote columns for the Dallas Morning News as part of the Voices program. Along the way, I forged friendships and met some truly great people. High school was miserable a times, yes, but all of these positive, life-changing experiences overwhelmingly outweigh every bruise I received during the climb. I want to thank my parents, my friends, my band directors, Mr. Wofford, Mr. Sherman and all of the other people who invested their time to help me find my path up the high school mountain and become who I am today. My high school journey wasn’t a smooth one. There were all-nighters and awkward moments. Mistakes made and tests bombed. Long hours marching in the hot sun and long hours staring at blank word documents. But standing here at the summit, I look down fondly at my last four years and wouldn’t change a thing. As I tie final column for The Sidekick to a close, I realize that this isn’t the destination. There is no destination; there is only the journey. As I turn my back on high school, I am ready to boldly face the next mountain in my journey.